slice l multi-layered urban spaces Spaces of transition, such as subways, shopping malls and city streets dominate the urban landscape. These spaces of globalisation have been coined “non-places”. Non-places are generic, anonymous and transitory1. Chandler travels to research non-places, collect source material and to experience the sense of freedom and unknown that global cities offer. She employs the methodology of walking to understand the dynamics of how cities work, observing how people use and are directed through these spaces. Sometimes, Chandler is a ‘flaneur’, a solitary stroller, and at other times she uses the random strategy of the derive as a way of seeing. SLICE is a series of paintings that respond to the verticality of Singapore’s urban spaces. Singapore’s shopping malls are vast, shiny, maze-like and multi-leveled spaces that are easy to get lost in. The atriums within the malls are expansive with numerous escalators slicing across the voids, creating dynamic spaces that make the human form appear insignificant. – akin to a zombie-like state. Depending on the time of day, the MRT and malls are either chaotically busy; or eerily quiet and empty, almost like the end of the world. shape, obliterate and reform figures and urban structures. The process of painting mimics the actual experience of the environment where spaces constantly change as people transition through them. Chandler was in Singapore in 2013 on a residency at INSTINC Gallery, supported by the Asia New Zealand Foundation. space to stand back and appreciate the complexity of thought, experience and technique that has gone into each one. Chandler completed an artist residency in Singapore during 2013 and these works are a reflection of her experiences there, carefully observing the place of figures within the strong and defining architecture of urban landscapes. of good memories, of being able to observe as a “no one” the complex life of the city dweller. There can be something breathtakingly sublime about being anonymous. It allows for multiple perspectives and Chandler has communicated this. inspiration that she has left the previous marks behind. The paintings become a diary of thoughts and events. These are powerful works of a very high standard that an international market needs to see. 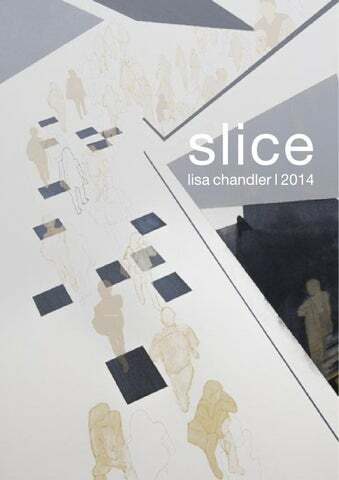 biography Lisa Chandler was born in the United Kingdom in 1969 and grew up in Wellington, New Zealand. Her art practice involves global wandering to experience places and spaces, punctuated by intense months of studio-based work. Chandler’s practice reflects an obsession with transitional urban spaces and the crowds that inhabit them. 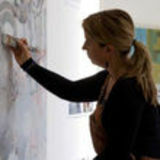 Her paintings investigate the tensions between place and non-place. Urban structures and people intertwine through a process of layering, obliterating and tracing. Auckland, New Zealand. She presented her thesis paper ‘Negotiating the Non-Place’ at the Affective Landscapes Conference at the University of Derby, England in 2012. In that same year she completed an art project at the Kuala Lumpur International Airport. In 2013 she undertook a residency in Singapore and in 2014, she spent two months on the Red Gate Residency in Beijing.